Overall, "baby boomers" -- Americans born between 1945 and 1965 -- still account for most cases of chronic hepatitis C. But, researchers said, a generation of young Americans is also being put at risk because of opioid abuse. "A lot of people think hepatitis C is 'over' in this country. But it's not over by a long shot," said Dr. Douglas Dieterich, director of the Institute for Liver Medicine at Mount Sinai Hospital, in New York City. Dieterich, who was not involved in the study, said the findings are no surprise. Hepatitis C is a blood-borne infection, and most transmissions occur through injecting drugs like heroin, when people share contaminated equipment. Hepatitis C is a viral infection that causes inflammation in the liver; in most cases, it becomes chronic. Without treatment, about 15 percent to 30 percent of people with chronic hepatitis C will develop cirrhosis (scarring) of the liver, according to the U.S. Centers for Disease Control and Prevention. Smaller numbers develop liver cancer. The new study is an extension of a CDC report published last month, estimating that over 2 million Americans were living with hepatitis C between 2013 and 2016. These latest figures show that about 52 percent of those people were living in nine states: California, Texas, Florida, New York, Pennsylvania, Ohio, Michigan, Tennessee and North Carolina. Five of those states are in the Appalachia region of the country that has a high rate of opioid abuse, the researchers said. A similar pattern showed up when they looked at the number of hepatitis C cases relative to a state's population. Kentucky, Tennessee and West Virginia were in the top 10 for those rates, and they are three of the states hardest-hit by the opioid epidemic. According to lead researcher Eli Rosenberg, the data show a picture of two generations: The baby boomers who were infected years ago and continue to live with the liver disease, and the young Americans who are showing an "alarming increase" in new hepatitis C infections due to injection drug abuse. "Hepatitis C is more common than many people think," said Rosenberg, an associate professor at the State University of New York at Albany School of Public Health. "It's a large epidemic and we have a long way to go toward eradicating it." Hepatitis C can also be transmitted from pregnant women to their babies. And, Dieterich said, the United States has seen a rise in cases among infants born to mothers who abused injection drugs. At the same time, recent years have seen a positive development against hepatitis C. New oral drugs with cure rates that top 90 percent after two or three months of treatment. For decades before that, the only treatment had involved the injection medication interferon -- a year-long regimen that caused flu-like side effects. Even then, the cure rate was only 40 to 50 percent, according to the U.S. Food and Drug Administration. But, Dieterich said, there are many Americans with hepatitis C who have yet to benefit from the new drugs, such as Sovaldi and Harvoni. One reason is, many people do not know they have the disease. To help catch those cases, the CDC recommends screening people at increased risk -- including baby boomers and anyone who's ever abused injection drugs. Then there's the cost. When the new drugs hit the market, they ran as much as $95,000 for a full round of treatment. State Medicaid programs, which cover many Americans with hepatitis C, balked at the cost and set up restrictions. That generally meant only people with more severe liver damage could get the drugs, Dieterich said. However, things are shifting, he added -- with a number of Medicaid programs loosening their restrictions. Ideally, hepatitis C should be prevented, Rosenberg said. He pointed to "syringe service programs" as one measure. The community programs offer injection-drug users clean equipment; some also link people to drug abuse treatment. 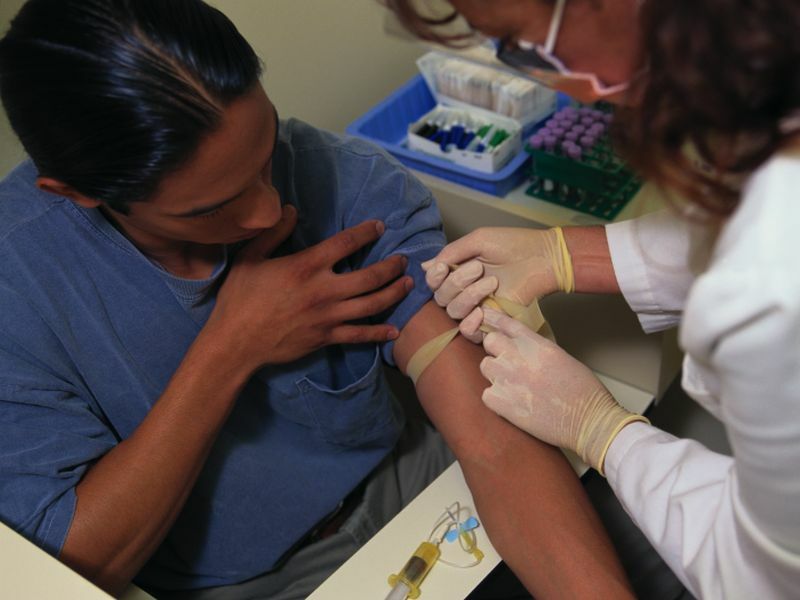 However, a CDC study last year found that only three U.S. states have laws that "support full access" to both syringe programs and hepatitis C treatment.